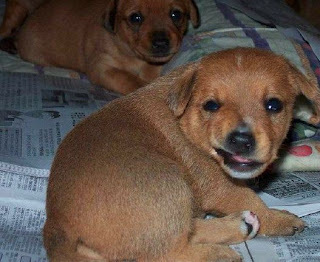 Looks like a really sly smile on his puppy dogs face. Maybe he is just trying to smile for the photo. Just a poser. How funny is this photo? 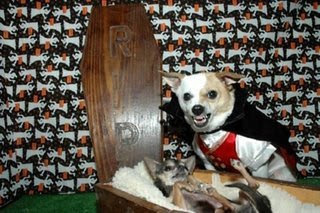 When i first looked at it, i didnt notice the dog in the coffin upside down! Thats just classic. And the vampire dog is even snarling just like dracula would! Fantastic. 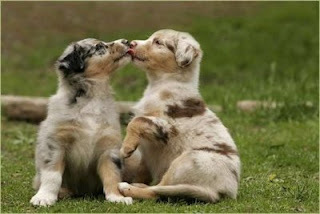 Not much you can say about this really cute photo of kissing puppies except...awwww. So sweet. 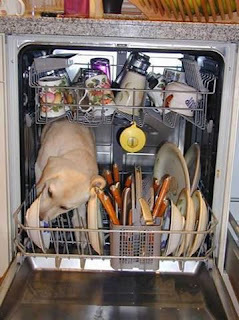 I just love this pic of the labrador in a dishwasher. Maybe he is the new dishwasher - he is certainly having a fun time licking the bowl clean! 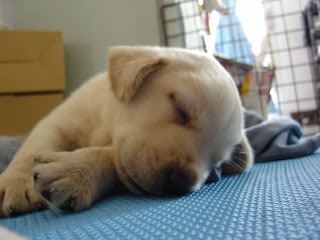 Not sure if this Labrador puppy has had a hard day. But he certainly is tired and needs a sleep. So cute. 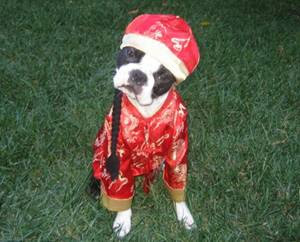 Ahh, the old Peking Dog. Complete with long hair. Nice pose for the camera too, thats cute. 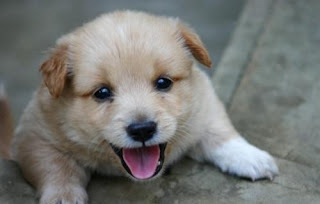 Nice little smile, or is this cute puppy laughing? He looks so happy. It certainly is a dogs life. 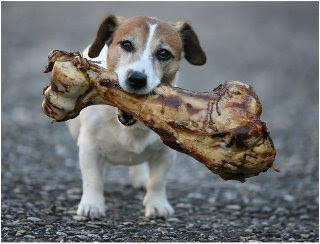 Now that is one really big bone for this puppy dog. 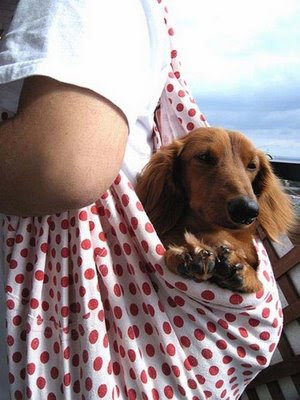 I hope he is going to share this with his dog friends. Probably not! 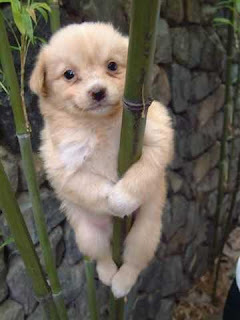 I have never seen a dog climb like this before! How cute is this? I think that is bamboo. That is one talented smart puppy dog.